SICK (UK) LTD are based in St Albans, Hertfordshire and have been the UK subsidiary of SICK AG (Germany) since 1973. We have a wide network of Sales Engineers, Service Engineers, Distributors and resellers throughout the UK and Ireland. As an experienced system partner for many major projects, SICK not only offers a wide range of leading edge products, but also a comprehensive package of vital know-how, service and support. You will find SICK products in daily use throughout industry, serving the widest imaginable range of applications in all sectors. 7th November 1973 - Erwin SICK Optic Electronic Ltd was registered and began trading from small Victorian premises in Radlett, Herts - with 2 members of staff. By 1979 the company had 15 employees and it was time to move to bigger premises in Lyon Way, St Albans. During 1984 it was decided that bigger premises were again needed. This time a plot of land was bought in St Albans and the current two storey building was designed and built, and was formally opened in December 1985 by Peter Lilley, the MP for St Albans at the time. In 2005, the company name was changed to SICK (UK) Limited to tie in better with the SICK Group worldwide branding. 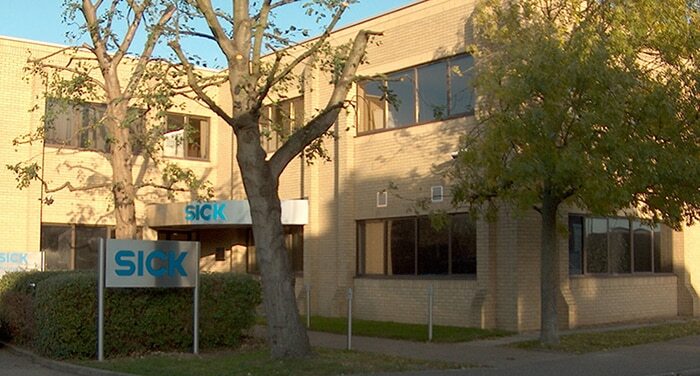 By 2013 SICK (UK) Ltd. celebrates its 40th anniversary with 68 employees. We are looking forward to many more years of continuing to develop our relationship with you, our customers.